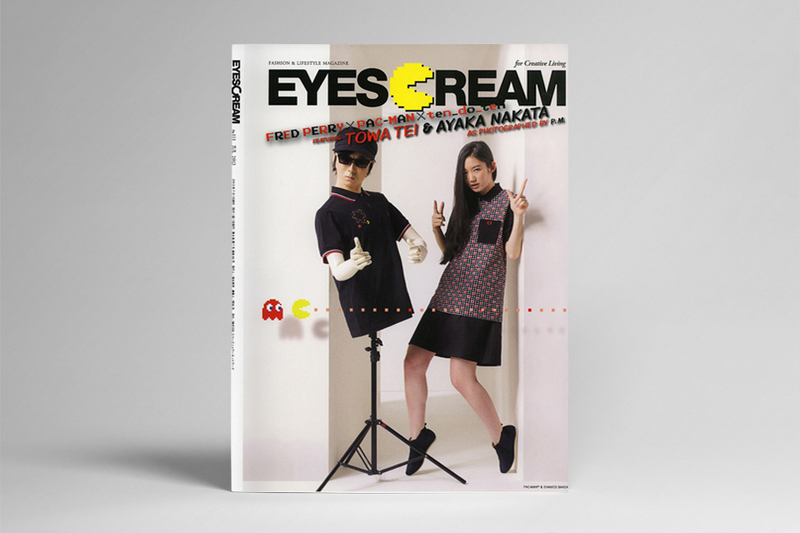 GAS as I/F tends to look at established ideas from a completely new perspective. 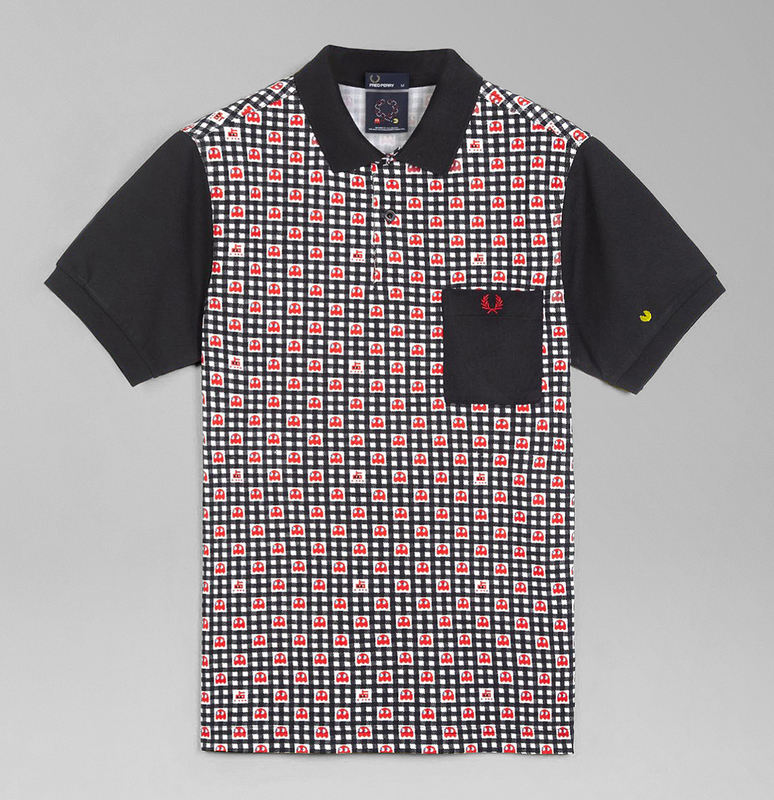 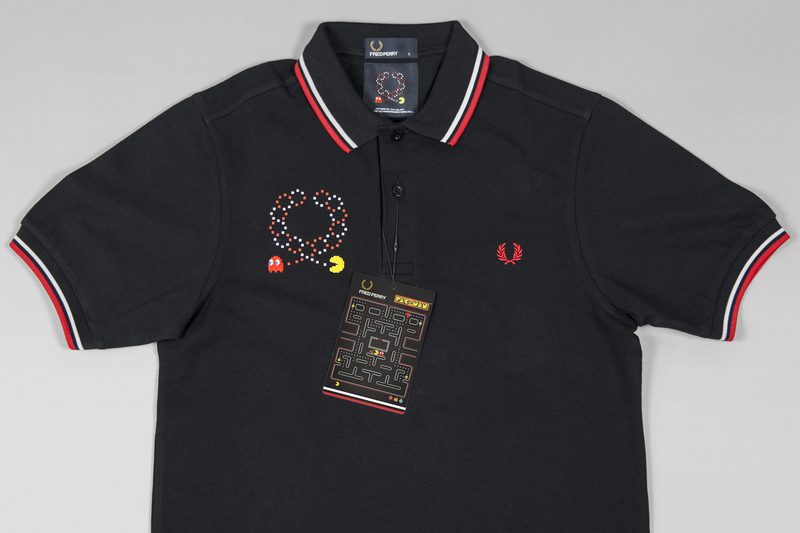 Fred Perry SS 2013 introduces the unique view of the Japanese pixel designer ten_do_ten to the Namco Bandai arcade hero PAC-MAN, using the timeless Fred Perry polo shirt as a canvas. 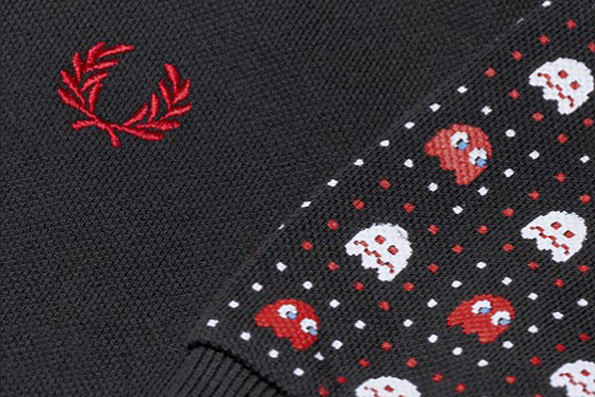 This collection consisted of five different colorful interpretations of the concept with the iconic PAC-MAN character eating his way around the Laurel Wreath logo. 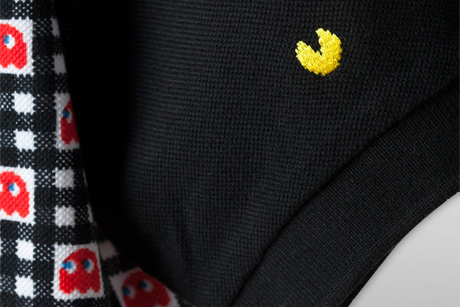 The collection kept the original arcade game colours, black base, primary red, yellow and white – it was an instant hit, selling out worldwide. 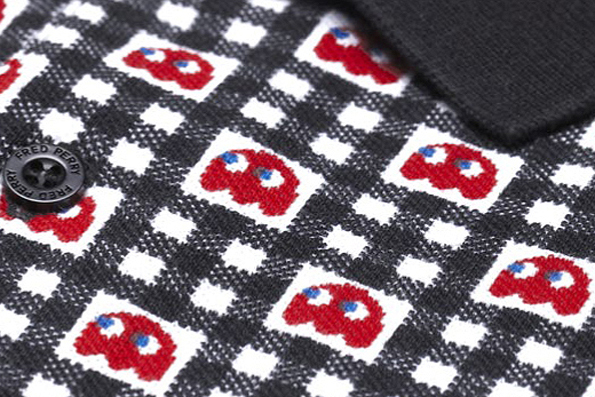 HERITAGE PATTERNS, GINGHAMS & CHECKS ARE REWORKED TO LOOK LIKE MAZES TRANSPORTED FROM THE CLASSIC VIDEO GAME.